After months of hype, Apple's iPad tablet computer finally went into the hands of consumers Saturday. Coinciding with the release, Apple updated its Web site to show off "a whole new world of apps" created specifically for the device. More than a thousand iPad-specific applications are available on launch day, in addition to the more than 150,000 iPhone and iPod touch applications already available on the App Store, most of which will work on the iPad. Some developers who have upgraded their iPhone applications for the iPad have distinguished their software with the labels "HD" and "XL." Apple chose on Saturday to highlight a number of applications created for the iPad while declaring on the front page of its Web site "iPad is here." Among the software highlighted is "The Elements," an interactive Periodic Table with high resolution photos and in-depth details on all 118 elements. Like some other applications for the iPad, "The Elements" also has a 3D mode when used with 3D glasses sold separately. Also featured on Apple's Web site is the "Marvel Comics" application, and the description declares "comics will never be the same." "Colors and art look so astonishing on the iPad display, you'll feel like you're part of the action," Apple said. "Pinch to zoom in and out of each page to view text and art. Tap thumbnails to navigate through pages. iPad can even lead you through each panel as the adventure unfolds. And you can buy comics right on iPad." Other applications featured include "Real Racing HD," "The Wall Street Journal," "MLB.com At Bat 2010," "E*Trade Mobile Pro," "Scrabble," and "Labyrinth 2 HD." Saturday is obviously a huge day for Apple, with customers lined up across the country at stores to be among the first to get the iPad. Employees at Apple's stores began to prepare for the rush of patrons very early in the morning. AppleInsider received word that Apple retail store employees were at various U.S. store locations on both the east and west coast at 1 a.m. to prepare for today's launch at 9 a.m. local time. Employees reportedly began unboxing iPads for display at 3 a.m. All other employees had to be at the store at 7 a.m. for training. 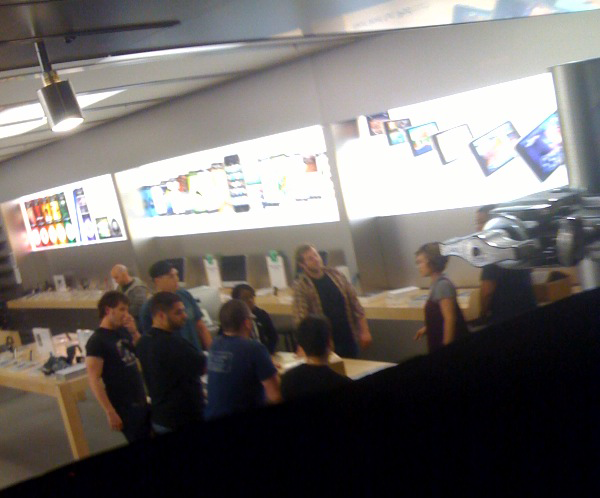 Apple store employees meet at 1:15 a.m. Saturday to prepare for the iPad. Photo provided. 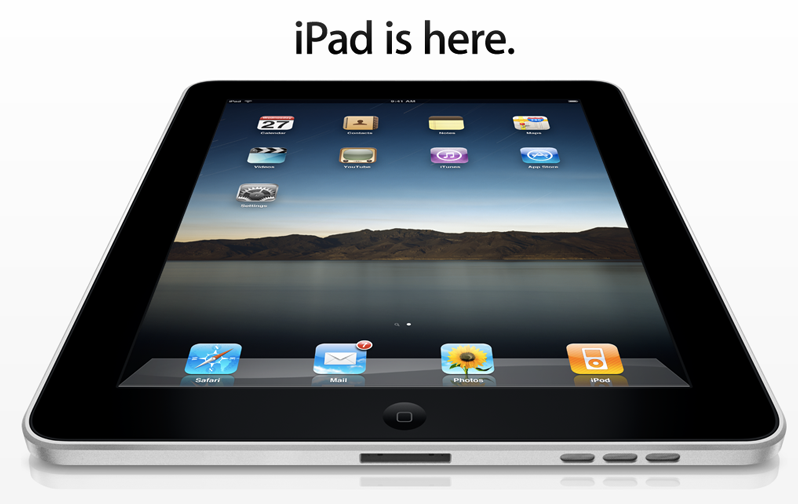 Most who preordered an iPad online when Apple began accepting orders will receive their device via UPS on Saturday. A small number of people who live in remote areas where UPS does not offer weekend delivery will have to wait until Monday. The iPad starts at $499 for the 16GB model with only Wi-Fi. The 32GB model costs $599 and the 64GB option runs $699. Later this month, the 3G-capable models will be released, and they carry a $130 premium. The 16GB model will cost $629, 32GB for $729 and 64GB for $829.